← Arizona Holiday Festivals To Go To This Week! 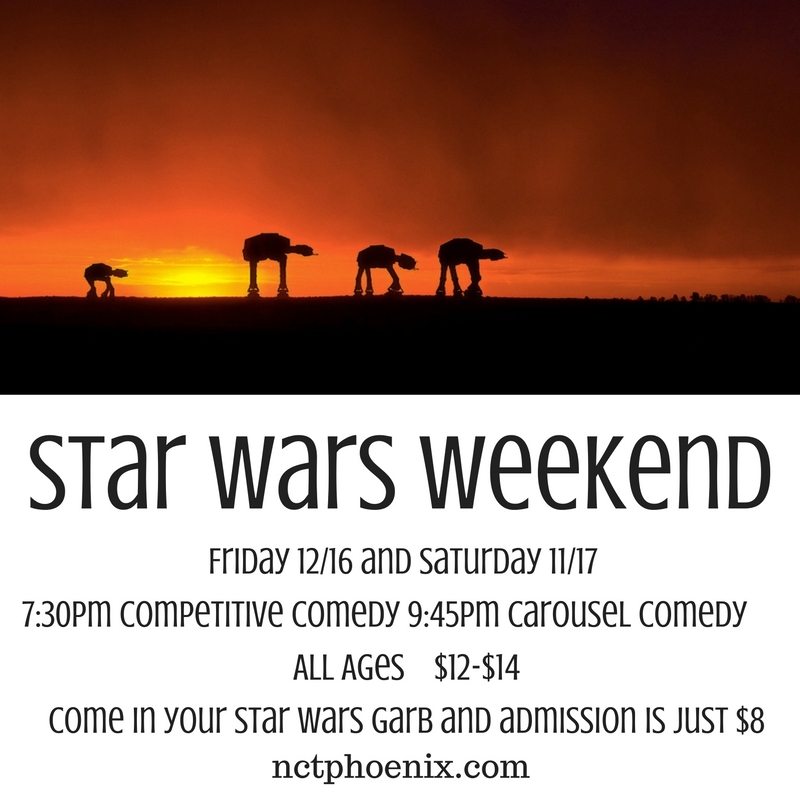 This entry was posted in AZ Attractions, AZ Events, East Valley, local az events, Mesa AZ, News Article, Phoenix AZ and tagged arizona attractions, arizona events, carousel comedy, comedy, comedy shows, improv, improv in phoenix, Mesa AZ, national comedy theatre, nct, nct phoenix, star wars, star wars weekend, things to do in mesa, weekend events. Bookmark the permalink.